The Stationary Winding Engine House forms a large vaulted underground structure, located under the main line just north of Fitzroy Bridge (next to Gloucester Avenue) where the railway crosses the Regent’s Canal. The winding engines and other equipment that it housed operated from 1837 until 1844, drawing trains from Euston up Camden Bank by means of an endless rope, to meet a waiting locomotive at the top of the incline. 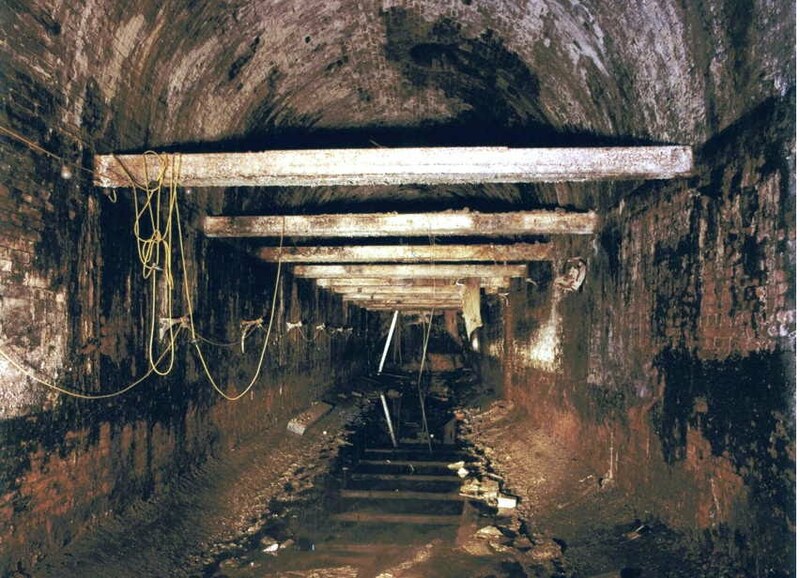 The equipment was sold in 1847, but the vaults are generally in sound condition though filled with debris and partially flooded. In upgrading the vaults to Grade II* in early April 2010, English Heritage concluded that the Engine House is an extremely rare survival, of international importance, representing one of the last uses of rope haulage on a public railway, a relatively brief transitional stage in the technological development of railway transportation. 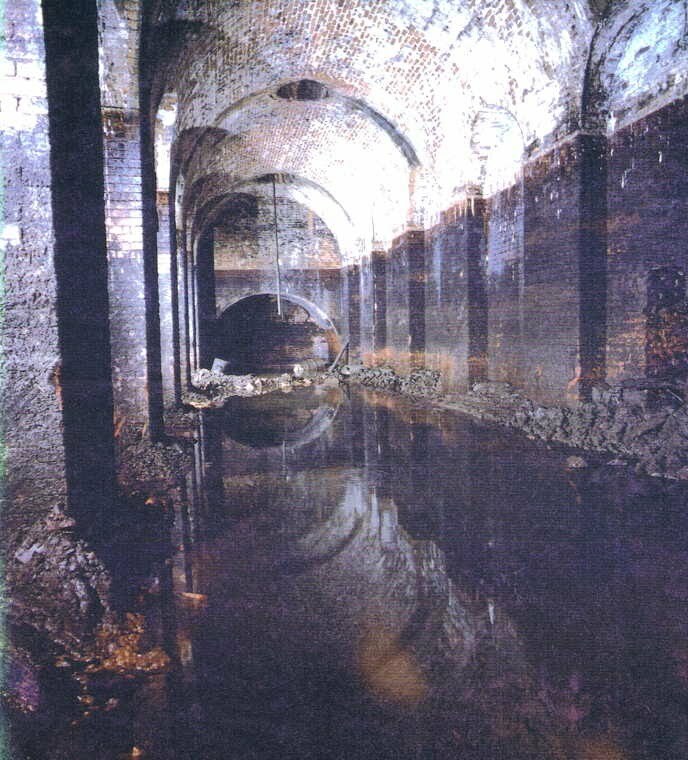 The grand scale and unique design of the underground brick construction creates special engineering and architectural interest. 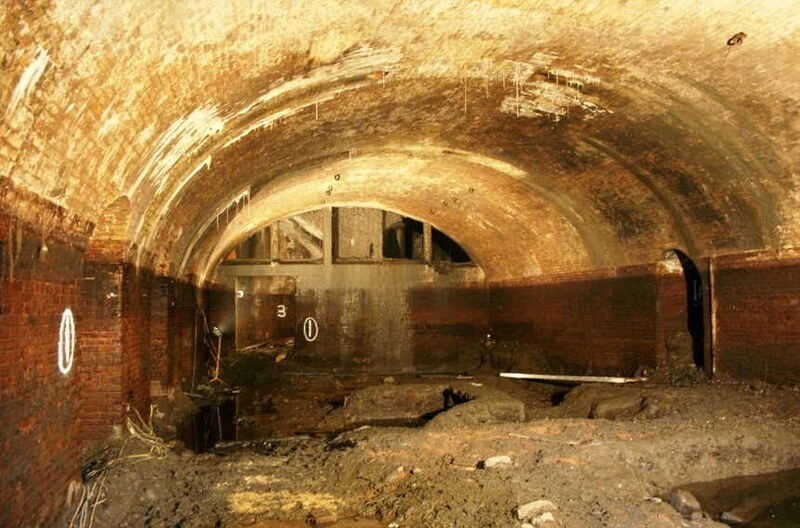 Its close proximity to Primrose Hill Tunnel Portals and the Roundhouse (both Grade II*) forms a remarkable early railway group associated with the pioneering London and Birmingham Railway. Although stripped of machinery after only seven years use, the engine house vaults have survived well. 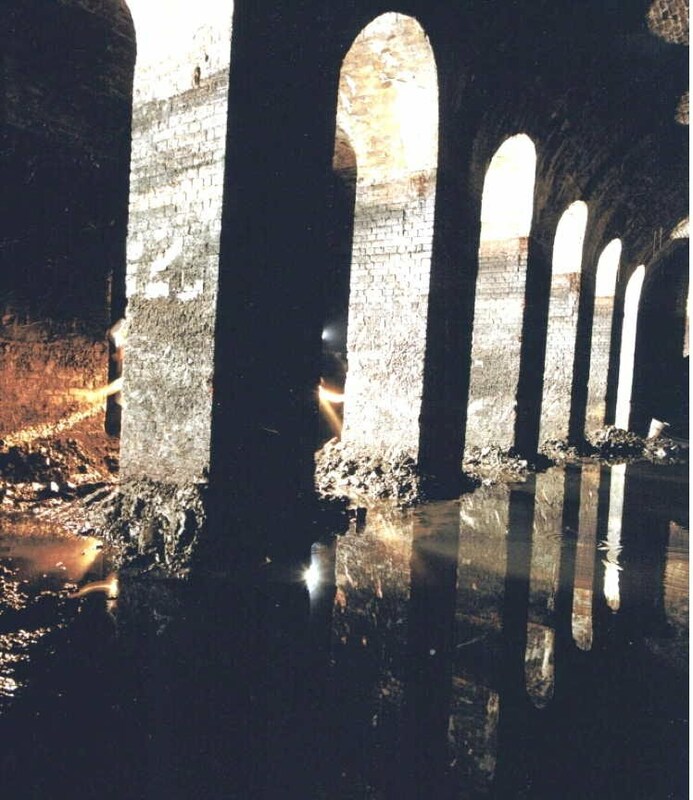 They are normally flooded to approximately the level of the Regent’s Canal, and silt and debris are deposited throughout to about a foot depth. The vault in the northeast boiler room, added in around 1850, has partially collapsed but otherwise the vaults have suffered little damage. The main lines, including the West Coast Main Line, run over the vaults as they did almost two centuries ago. Their size is apparent from the photographs.